4. 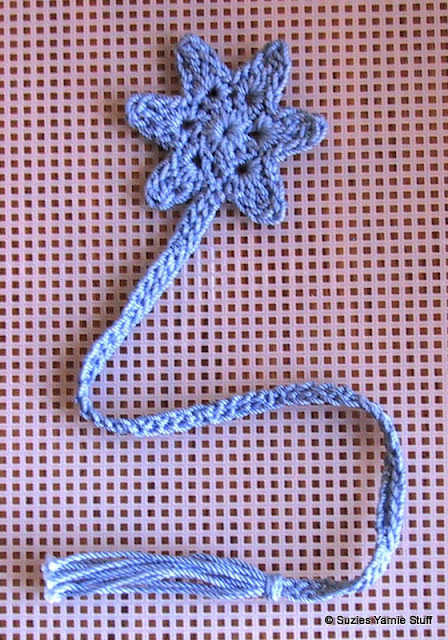 A smaller star can be crocheted with size 10 thread and a size 7 steel hook. For pin, ornament or embellishment fasten off and weave in ends. For bookmark continue below. Ch 59, sc in 10th ch from hook, to form ring. *Ch 4, skip 4 sts, sc in next ch. Repeat from * until 4 chains remain, slipstitch in same st as first ch.